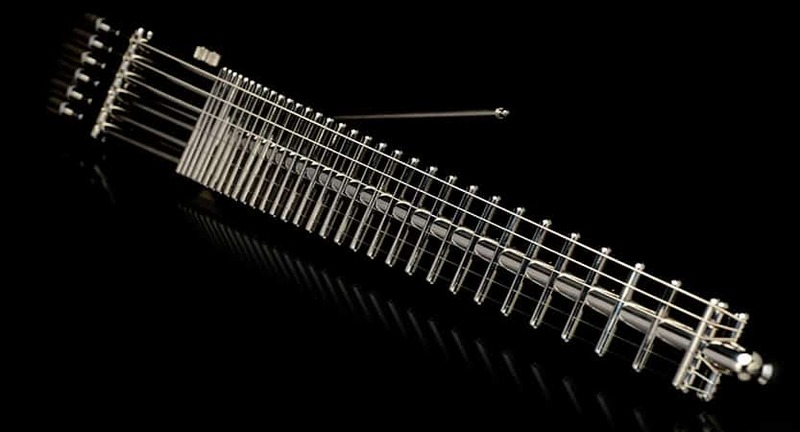 Is the Future of Guitar… Minimalist? Being someone whose interest in guitars only began in the late 90s, I missed out on the ridiculous inventions that came out in the 70s and 80s that never seemed to catch on. There were a lot of metallic and fiberglass contraptions that made bold claims about the future of the electric guitar – but as far as I can tell, wood has prevailed in remaining the foundation of every great instrument (things like the Hofner Shorty have managed to carve a niche though). Lately though, there seems to be a trend toward more minimalist designs. 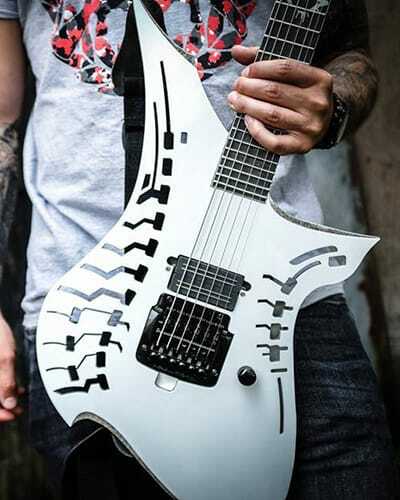 Quite a number of boutique guitar manufacturers are coming out with guitars that incorporate more metal, superior ergonomics, and doing away with familiar hardware and appendages that they deem extraneous. Most importantly, the trend is all about less wood. Let it be known that this company is becoming very popular right now, and has a lot of well-known endorsees using them as their primary instruments (including one of this generation’s appointed guitar gods, Plini). 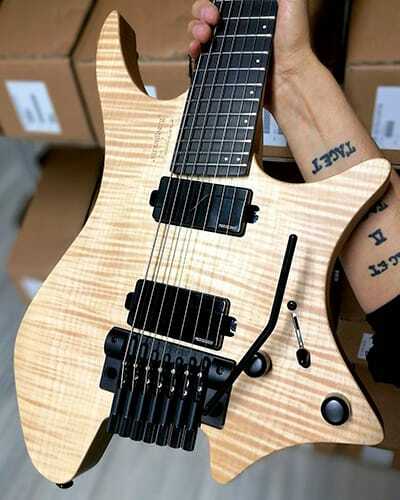 All images courtesy of strandbergguitars.com. 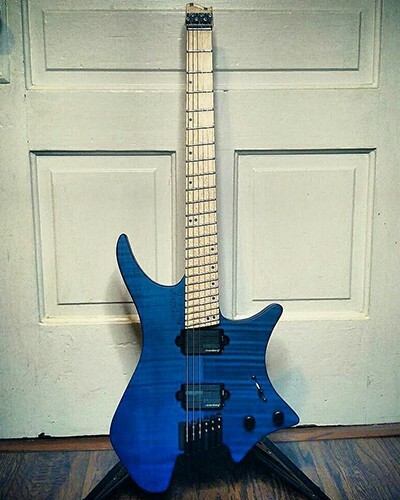 Strandberg’s unmistakable, distinctive body shape and headless neck design. 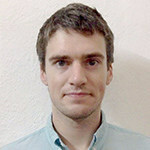 Their inclusion in this article is to highlight the trend. 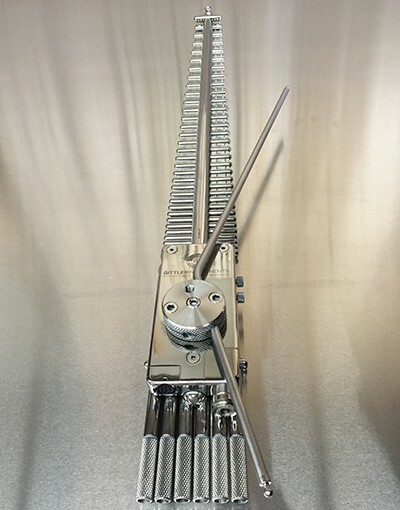 This is how it starts…first they lop off the headstock and run the body through a lawnmower to remove excess weight that was a huge problem for 90lb screamo kids to lift. Next… well, you’ll see. 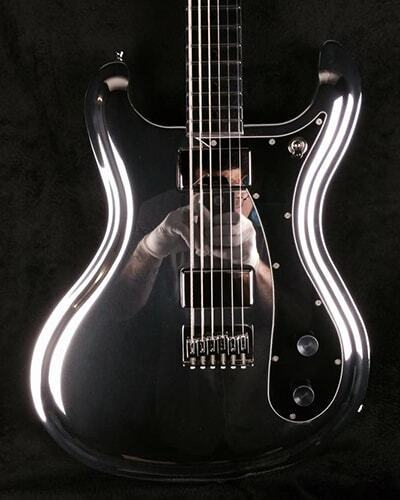 Etherial Guitars is a company that hasn’t sought to reinvent the wheel, but they’ve certainly given it a makeover. 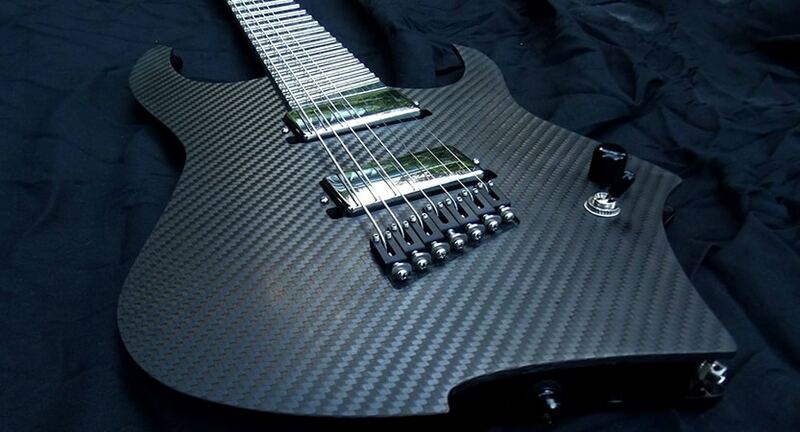 All images courtesy of www.etherialguitars.com. Not a very creative name for an electric guitar company, I have to say. Did they even consider how difficult it’s going to be for people to find them on Google? 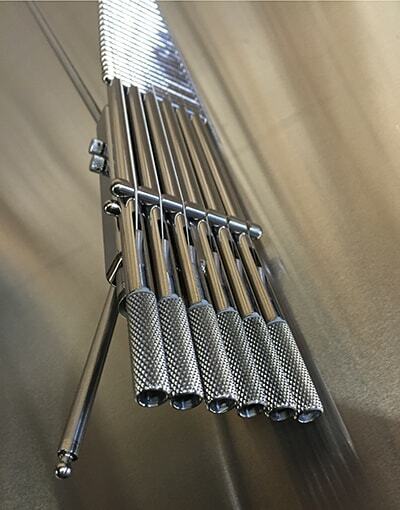 However, they’ve got some cool looking instruments. 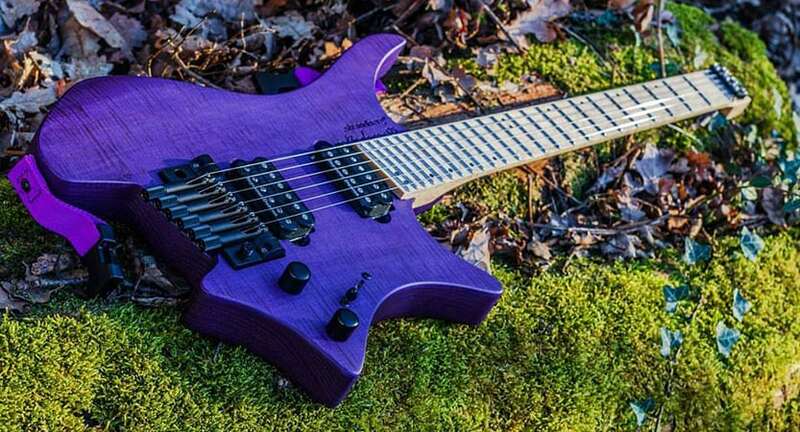 Like Etherial Guitars, their main purpose is to eliminate wood with extreme prejudice. 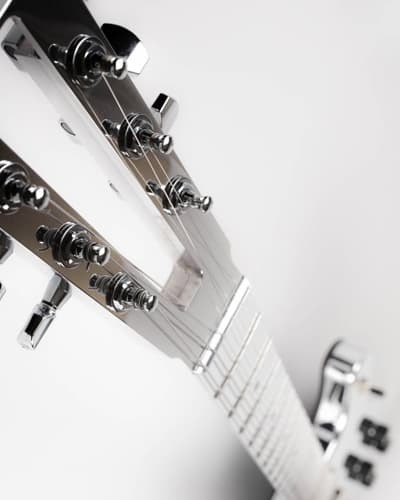 All images courtesy of www.electricalguitarcompany.com as well as their Facebook and Twitter pages. Now we’re getting into the super-minimal stuff. 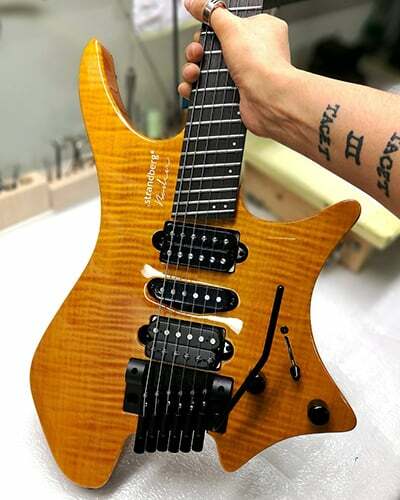 Ulrich Teuffel was one of my choices for “most creative” luthiers in an anoterh article I wrote for Ultimate-Guitar. Finally, we come to this monstrosity. 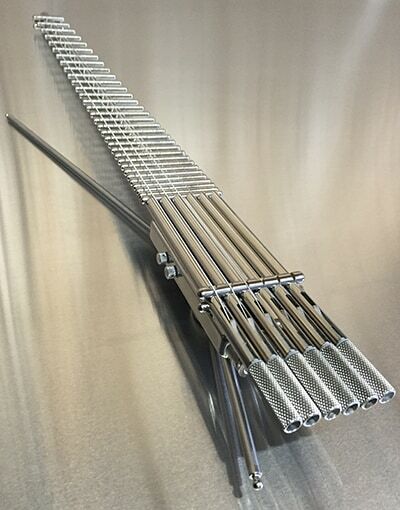 The Gittler is the “Skeletor” of guitars. 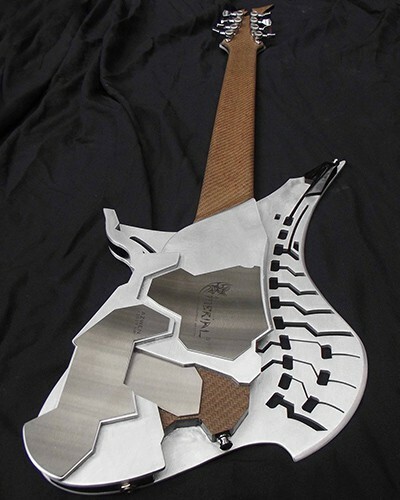 It’s got a titanium frame, interchangeable plastic neck profiles, and all tuning is done at the foot of the bridge rather than on the non-existent headstock. And it also has…well, not much else really. Plenty of videos of the it being played on youtube though, for anyone doubting that this thing is actually an instrument! It’s safe to say that if you have any preferences for fret size and fretboard radius, this is clearly not the guitar for you. Is it a Bright Future – or a Grim One? 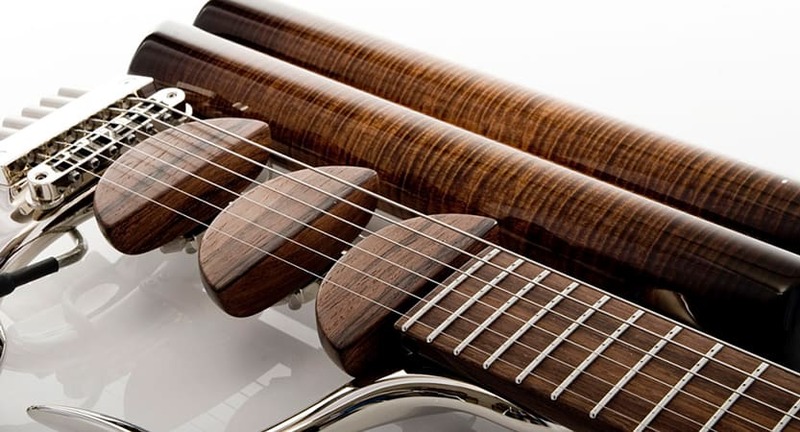 I’m a purist when it comes to guitar design – wood is an absolute must for me. Even if you don’t subscribe to the idea that the wood influences tone and you believe it’s an ergonomic hindrance – I’ll stick to my guns for the aesthetic value alone. Having not played any of the instruments in this article (yet), I’ll say this: they definitely look interesting. And the intentions behind their innovations are all perfectly valid – whether or not they actually improve upon the electric guitar’s form, I do not know. But if history has proven anything, it’s that only a fraction of a percent of these things will stand the test of time. We’ve looked at some crazy stuff in this article. What are your thoughts? 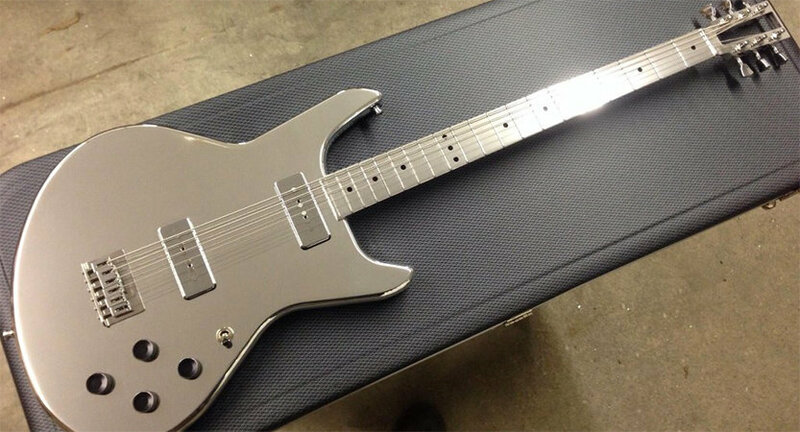 What do YOU think guitars will look and sound like 20 – 30 years from now? Let me know in the comments below. Joel Bennett is a luthier from the UK, trained in the US, and currently living in Mexico without any tools. Go visit him over at his website: www.electricherald.com. https://www.guitaranswerguy.com/wp-content/uploads/2017/04/hdr_future_of_guitar.jpg 317 833 Guitar Answer Guy http://www.guitaranswerguy.com/wp-content/uploads/2015/11/logo_170x125.png Guitar Answer Guy2017-04-19 03:00:192018-05-11 21:37:55Is the Future of Guitar... Minimalist? 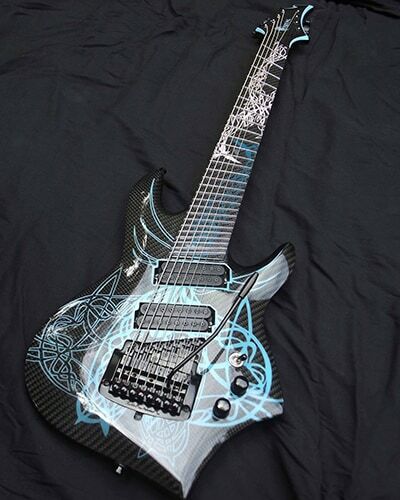 I really like the new guitar styles & designs. The new guitars got a lot of new features. Nah. Not my thing. Most look to fragile to tour with. Try to sit down an play that Glitter with out the shoulder strap. 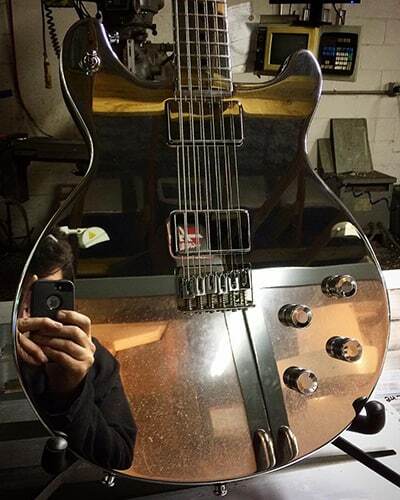 Electrical Guitar Company’s all aluminum guitar? Leading cause of dementia today is caused by beta amyloid plaque. Those little particles of aluminum that get absorbed through your skin from touching anything aluminum. It gets trapped in your brain and gunks up the synapsis causing early dementia. No thank you. you can get your hands on and is comfortable to play. not “get your hands on it” and is not comfortable to play; is it worth it?